y the turn of the century, Europe was largely destabilized by its own system of alliances. Germany and the Austro-Hungarian Empire formed one such alliance, the Central Powers, while France, Russia and Great Britain formed another to meet this threat. The whole system began to topple with the assassination of the Archduke Francis Ferdinand on June 28th 1914, while visiting Serbia. The Austrians were outraged by this assassination of the heir to their throne. On July 28, 1914, Austria-Hungary declared war on Serbia. Because of the alliance system the other powers were rapidly drawn in, and by August 4 most of Europe was at war. When Great Britain declared war on Germany, it did so on behalf of the entire British Empire. Newfoundland, as Britain’s first Colony, was eager to make its contribution and willingly joined the war effort. The Dominion of Newfoundland initially offered 500 recruits for overseas service with more to follow. The military had been absent from Newfoundland since 1870 however there existed four church sponsored cadet corps which would provide the vanguard of first recruits. 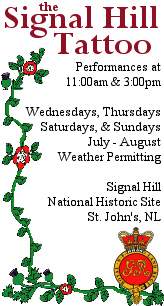 The new Regiment trained at Pleasantville in St.John’s under tents donated by the city brigades and by local merchants. They lacked for all necessary supplies including the of khaki material for the leg wrappings, or puttees, which they substituted with a navy blue material forever commemorating the first five hundred as “The Blue Puttees.” By mid September there were 492 soldiers recruited which was just short of the promised 500. The first commissions in the new regiment were issued on 21 September. Governor Davidson appointed himself Lieutenant Colonel and Officer Commanding the Newfoundland Regiment. On Saturday 3 October a large crowd gathered in St.John’s to watch the soldiers parade through the streets as they made their way to the harbour front where the troop ship had docked. At the pier was Governor and Lady Davidson, Premier Morris and members of both branches of the Dominion legislature. 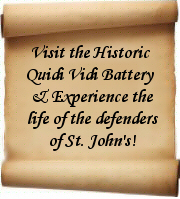 On October 4th the First Five Hundred of the Newfoundland Regiment (The Blue Puttees) departed St.John’s on the S.S.Florizel enroute to Plymouth, England and an eventual date with destiny. The Florizel reached Plymouth on the 14th of October but The Newfoundland Regiment did not disembark at Plymouth until 20 October. Most of the day was spent unloading equipment and supplies. That evening the Regiment boarded trains destined for Pond Camp on the Salisbury Plain where the tented camp became their home for the next seven weeks. The Newfoundland Regiment was placed under the command of a Canadian officer, Lieutenant Colonel E.B.Clegg, who reorganized the regimental structure. All of the Newfoundlanders were issued standard British uniforms and accouterments including khaki puttees. This did not alleviate their concern that the Newfoundland Regiment would be permanently attached to the larger Canadian Force. Life at Pond Camp proved difficult. The tents were initially without wooden floors. For much of their stay at camp it rained creating mud which formed on the chalk layers underneath. By November, the Canadian Contingent began leaving camp and a new Commanding Officer for the Regiment was appointed. Lieutenant Colonel R. de H. Burton was a British Officer who had come out of retirement at the outset of war. He relied heavily on the route march as the preferable method of preparing troops for battle. In November news spread that the Newfoundland Regiment was moving out of Pond Camp. In December the Regiment was moved to Fort George, Inverness located in the Highlands of Scotland. For the next ten weeks the Regiment trained under more favourable conditions. Most of the troops were housed in buildings in the main fort area. They were provided with iron cots and mattresses. 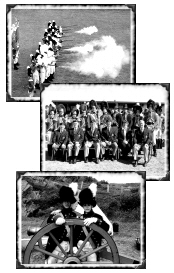 Much of their training while at Fort George concentrated on shooting . The Newfoundland Regiment celebrated it first Christmas away from home with a Regimental dinner and with visits to the many homes of the Scottish people who showed in many ways their appreciation for these young soldiers. In February the Newfoundland Regiment boarded trains yet again to take up their new post at Edinburgh Castle in the Scottish capital. They were met there by the Second Contingent from Newfoundland consisting of 244 new recruits. The troops were housed in barracks which proved cold and damp in the winter weather. The training in Edinburgh was to be equally vigorous.Route marches, drill, and PT occupied the troops daily. 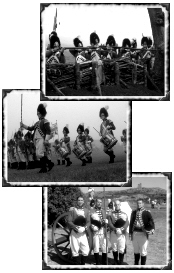 By March, the arrival of more recruits brought the Regiment to full battalion strength. In May, the Newfoundland Regiment were transferred to Stobs Camp, Harwick. This move marked a return to life under canvass. Conditions improved however with the coming of summer. Training at Stob’s Camp included the usual drill and PT along with basic musketry. The Newfoundlanders were also provided with the British Lee Enfield to replace their Canadian issue Ross Rifles. It was at Stob’s Camp on June 10th that the Regiment received its own King’s Colour, a gift of the Newfoundland Chapter of the Daughters of the Empire. The next day “F” Company arrived at camp bringing the Regiment’s total to 1500 men. On the 2nd of August the Newfoundland Regiment departed Stob’s Camp for Aldershot. News soon came that the Regiment was going into action. On August 20th the Newfoundland Regiment boarded the Troop Ship. Megantic. After a brief stopover in Egypt, they landed at Suvla Bay on 20 September as part of the 88th Brigade of the 29th Division. The 1,076 Newfoundlanders landed on Kangaroo Beach and spent the first few months digging trenches in preparation for the long winter months and for protection from the deadly Turkish snipers and artillery fire. On 22 September twenty one year old Private Hugh McWhirter became the regiment’s first battle causality when he was killed by shell fire. The next day Private W. Hardy was killed by a sniper’s bullet. Both young Newfoundlanders were buried on the slopes of Hill 10 overlooking Suvla Bay. As the days and weeks progressed the conditions worsened. Food and water were scare and had to be rationed. Turkish artillery and sniper fire continued to take its toll. The Regiment alternated its time between the forward and reserve trenches. Morale in the trenches lagged as the men endured the harsh weather and unsanitary conditions. Rotting corpses and hordes of insects spread infection and disease. The hospital ships were soon filled with the dead and dying. In early November the Regiment gained its first decorations of bravery. The Regiment had been continuously harassed by enemy snipers atop a small knoll. A raiding party led by Lieutenant J. Donnelly drove off the enemy and with the assistance of reinforcements was able to hold the post which was proudly named Caribou Hill. Lieutenant Donnelly was awarded the Military Cross, and Sergeant W.Greene, a Newfoundland Constabulary officer, and Private Hynes were both awarded the Distinguished Conduct Medal for gallantry in battle. In late November a heavy gale turned itself into a harsh winter storm. The heavy rains washed out the trenches leaving the Newfoundlanders standing unprotected in a sea of mud. The rain turned to snow as the temperatures dipped below freezing. The men were tired, wet, cold and hungry but continued to endure the elements and man their posts. When the storm finally ended over 150 of the Regiment were aboard hospital ships suffering from frostbite and exposure. Prior to the storm the decision had been made at the highest levels to evacuate. By December 20th the last of the Newfoundlanders who had provided rearguard protection were aboard ship without any further casualties. Some 83,000 soldiers were evacuated from the Gallipoli peninsula under cover of darkness and without alerting enemy forces. The evacuation of Gallipoli was a major success. After a brief stay on Cape Helles at the toe of the Gallipoli Peninsula the Newfoundland Regiment were finally evacuated permanently but not before again providing rear guard action for the retiring troops. By early January the majority of the troops and equipment from the Dardanelles expedition were en route to a resting camp at Suez. Though the regiment was there to recuperate, life was not that easy for the soldiers. The Commanding Officer of the Newfoundland Regiment, Colonel Hadow, was a strict disciplinarian. He was determined to see that the Newfoundland Regiment achieved a standard of military efficiency equal to any other British regiment in the Division. Drills, exercises and route marches into the scorching desert became the order of the day. On 14 March, 1916, the Newfoundland Regiment boarded the troop ship, Alaunia en route to France. After a six day voyage they landed at Marseilles and were transported by train to Port Remy where they entered their first billets. Over the next month or so the Regiment continued to move camps with each camp bringing them closer to the Front Lines. At Louvencourt the Regiment were employed at railroad construction but also got practice enter ing the reserve trenches. The Newfoundland Regiment entered the forward trenches on April 22nd replacing units of the Worcestershire Regiment. These replacement usually lasted about ten days. The Regiment’s first causality in France came two days later when Private George Curnew was killed by sniper fire. Throughout their time in France recruits from Newfoundland continued to arrive so that the Regiment finally achieved the normal war establishment of 30 officers and 972 other ranks. The final draft of 66 men had arrived on 30 June the eve of the great offensive. The Allies committed some 27 divisions comprised of 750,000 men to the Battle of the Somme. The heavy bombardment which preceded the planned assault failed to destroy either the barbed-wire or the concrete bunkers protecting the German soldiers. This meant that the Germans were able to exploit their good defensive positions on higher ground when the British and French troops attacked at 7.30 on the morning of the 1st July. The Newfoundland Regiment, as part of the 29th Division, were located opposite Beaumont Hamel. At 7:20AM the planned explosion of a mine at Hawthorne Ridge went off as expected signaling the attack to begin. At 7:30AM the main assault began. As soldiers of the Inniskilling Fusiliers, the South Wales Borderers, the Royal Fusiliers and the Lancaster Fusiliers climbed over the tops of their trench lines they were decimated by German machine gun fire. At 8:05AM the support regiments which included the Scottish Borderers, the Middlesex Regiment and the Dublin Fusiliers attacked and were met with a similar fate. The Newfoundlanders were in the reserve trenches. At 8:40AM they were ordered to move but the ordered was countermanded. The soldiers were confident the assault had failed and no further charge would be ordered. Remarkably, at 9:15AM, having witnessed the preceding slaughter across No Man’s Land the Newfoundland Regiment was ordered to advance to their death and all did so without compromise. The Regiment was alone as the Essex Regiment was delayed in its attack by the congestion in the trenches caused by the dead and dying. The Newfoundlanders left their trenches at St.John’s Road and advanced forward a hundred yards to the British Front Line. They marched into a field of fire and charged to their death. In less than thirty minutes the assault had ended. Most never made it beyond the gap in the British barbed wire indicated by a lone tree (The Danger Tree). Colonel Hadow watched from a support trench as the Newfoundland Regiment bore the full brunt of German guns. It would take several days before the full accounting was complete but by all standards the Newfoundland Regiment had been decimated. The final grim tally revealed 12 officers and 219 other ranks killed, 12 officers and 374 other ranks wounded, and 91 other ranks missing and presumed dead. Of the 801 officers and men that advanced that day 710 were killed, wounded or missing in action. The Regiment was all but wiped out. At night, for the next four days, the survivors collected their dead comrades. Nearly twenty thousand soldiers lost their lives of the first day of the Somme offensive. On the 6th of July the remnants of the Newfoundland Regiment were ordered back first to Englebelmer and then to Mailly Wood beyond the reach of German guns. Few survivors from the Newfoundland Regiment had not suffered the loss of a brother, father, cousin or friend. The Divisional Commander, General de Llisle wrote, “it was a magnificent display of trained and disciplined valor, and its assault only failed of success because dead men can advance no further.” News of the Regiments demise reached Newfoundland along with the casualty lists. There was scarcely a family or community that did not grieve the death of one of their own. Despite the great sacrifice at Beaumont Hamel, the Dominion continued to send fresh troops to fill the depleted ranks of the Newfoundland Regiment. At the end of July the Newfoundland Regiment boarded trains and traveled north to the Ypres Salient in Belgium. It was here that they would spend the next three months building and fortifying trenches and taking their turn in the advance trenches which were at points less than thirty feet from the German front line trenches. In August the Newfoundlanders came under gas attack for the first time. The order to put on gas masks prevented any causalities. On 8 October, after an absence of ten weeks, the Newfoundland Regiment was ordered back to the Somme to a position at Gueudecourt. The Battle of the Somme had dragged on since July and featured a series of attacks along the sixteen mile German front. On 12 October , at 2:05PM which was designated as Zero Hour, the attack began. The order was given to fix bayonets as close combat was expected. At the precise minute the artillery barrage commenced. Behind the cover of the creeping barrage, the Newfoundlanders advanced. The barrage was so heavy it prevented the Germans from using their machine guns. The Newfoundlanders were able to reach the German lines at an area designated as Hilt Trench. Fierce hand to hand combat ensued as the Newfoundlanders thrust with bayonet and hurled grenades into the German defenders. By 2:30PM Hilt Trench was firmly occupied by the Newfoundland Regiment. By late afternoon the Germans mounted a counterattack. The Newfoundlanders trained the Lewis Guns on the approaching enemy inflicting heavy causalities on the advancing Germans. The Newfoundland Regiment were steadfast and held firmly to Hilt Trench. At night, the Newfoundlanders turned Hilt Trench over to reinforcements and returned to Gueudecourt. For some, the disaster at Beaumont Hamel had been avenged despite having suffered 239 casualties themselves. On 27 October the Regiment occupied Grease Trench which today is the site of a Caribou Memorial. Over the next several months the Newfoundland Regiment continued to alternate between the Front Lines and the reserve trenches along the Somme Front. Christmas 1916 was spent at Camps-en-Amienois a small French village. Those members of the Regiment who had served over six months in France were granted leave to London. In January, 1917 the Newfoundland Regiment found itself again in the trenches running astride the road to Le Transloy. The Newfoundland ers were in support of the 88th Brigade. At 5:30AM on the 27th of January the Allied Artillery opened fire signaling the commencement of the battle. The Newfoundland Regiment in support of the 88th Brigade joined the foray by concentrating their trench mortars on the enemy positions. Company Sergeant Major Cyril Gardner earned a bar to his previously won DCM by single handedly capturing 72 German prisoners. After a brief respite the Newfoundland Regiment was ordered back to the front lines just north of Sailly-Saillisel. From the 1st to the 3rd of March the Regiment fended off a number of German attacks designed to drive the Newfoundlanders from their defensive positions. The fighting was fierce but the Newfoundlanders held their positions. On the 3rd of March the Newfoundlanders were relieved by the Lancashire Fusiliers. The Regiment’s losses for the two month period of February and March included 27 killed and 44 wounded. Sailly-Saillisel enhanced the reputation of the Regiment and earned the men a two week stay in divisional reserve. Despite the fact they were in reserve the Newfoundland Regiment continued to train daily which included practice in bombing, bayoneting and trench fighting techniques. On 19 March the Newfoundland Regiment returned to its billets in Camps-en-Ameinois. In early April, the Canadian Corps successfully attacked and captured Vimy Ridge opening the Battle of Arras. By April, the Newfoundland Regiment was marched to the outskirts of Monchy-le-Preux. The Acting Commanding Officer, Lieutenant Colonel Forbes Robertson set up his headquarters along the road leading to the town. The attack , which involved the Newfoundland Regiment proceeded on 14 April as planned. The Newfoundlanders as part of 88th Brigade were assigned the capture of Infantry Hill some 1000 yards east of Monchy. Having reached their objective despite heavy German artillery fire, elements of the Newfoundland Regiment found themselves being encircled by al large contingent of the enemy. The Newfoundlanders fought on against formidable odds. By nine o’clock the situation was hopeless and some 150 of the Newfoundland Regiment were forced to surrender. Lieutenant Colonel Forbes-Robertson formed a party of ten men and situated themselves in the trenches at the outskirts of the town to prevent the recapture of Monchy. From this forward trench this small party was able to hold the German advance on the town by pinning the Germans in the forward trenches until reinforcements arrived. As a result of their heroic efforts Monchy was saved. The action around Monchy cost the Regiment dearly. There were 7 officers and 159 other ranks killed, 7 officers and 134 wounded, and another 150 men captured by German forces. These losses were second only to the devastation at Beaumont Hamel. The Newfoundland Regiment remained in the Arras sector throughout April and despite depleted numbers found themselves holding a position at Les Fosses Farm on the road joining La Bergere with Monchy. The Second Battle of the Scarpe was scheduled to commence at 4:45AM on 23 April. While many of the Divisions reached their destination, a strong German counterattack late in the day reversed many of the gains the Allies had made. All day the Newfoundlanders were under continual shelling and machine gun fire but stubbornly held their positions. By June the Arras offensive had ended and the Newfoundland Regiment wasmoved south west to Bonneville. Its fighting strength was down to a mere 11 officers and 210 other ranks. By July, over 500 new recruits from 2nd Battalion arrived to join the Regiment. Allied leaders had given up on the idea of a breakthrough in the Arras area and turned their attention to Flanders again. In June the Newfoundland Regiment was transferred to the Ypres Salient and took to building and repairing trench works. Soon they would be engaged in the Third Battle of Ypres which would go on all summer and which would be marked by a series of major battles around Passchendaele. The first of these the Battle of Langemarck commenced in early August. The Newfoundland Regiment’s operational orders stated they must cross the Steenbeek on 16 August and hold a position nearly 1200 yards forward. Despite heavy enemy fire the Newfoundlanders reached their objective and were able to hold their position throughout the day. For the next seven weeks the Regiment was shuttled from one area of the front to another alternating between the advance and reserve trenches. The second major battle was Poelcappelle which commenced on 9 October 1917. As part of this larger engagement the Newfoundland Regiment were required to attack German defenses across the Broembeek stream. The Newfoundland Regiment attacked as planned and were able to meet their objectives and consolidate their positions despite heavy losses. The entire 29th Division suffered heavy losses in the area and were thus replaced by the 17th Division signaling six weeks out of the line for the Newfoundland Regiment. After replenishing their ranks the Newfoundland Regiment was moved by train and forced march to the area around the Cambrai sector. Here, the Allies were massing their troops for a major assault on the German lines. The 29th Division, of which the Newfoundland Regiment was a part, was ordered to secure Masnieres and Marcoing. On Tuesday, 20 November 1917 the Battle for Cambrai commenced. The Newfoundlanders advanced forward under protection of a withering artillery barrage. The German defensive lines were decimated as the newly introduced British tanks tore through dugouts and machine gun nests. Both Masnieres and Marcoing were freed of German defenders. Only the arrival of German reinforcements saved their hold on Cambrai. While the Allies had made spectacular advances they had failed to break the German stronghold of Cambrai. On 30 November, 1917 the Germans counterattacked all along the Cambrai sector. The Newfoundlanders were recalled from reserve and ordered to relief in front of Masnieres. Throughout the day the Newfoundlanders clung to their position despite murderous enemy shelling and wave after wave of German attacks. On 3 December the Germans attacked again but still the Newfoundlanders held their position at the Marcoing-Masnieres brigehead. The overall German counterattack was successful forcing the Allies to fall back relinquishing Marcoing and a number of other areas to the Germans. Two weeks later the Government of Newfoundland was informed that His Majesty was pleased to grant the title “Royal” to the Regiment in recognition of their outstanding gallantry. This was a unique honor as no other regiment was awarded such distinction while fighting persisted in World War I. The Royal Newfoundland Regiment found itself in the village of Fressin celebrating its second Christmas in France in December 1917. In the spring the Regiment was transported back to the Brandhoek line behind Ypres. The spring also signaled a three month German offensive. On 21 March, 1918 the Germans sent 71 Divisions attacking across a fifty mile sector. The Royal Newfoundland Regiment was attached to the 34th Division and sent to Bailleul to help stem the enemy attack. For nearly ten days straight the Newfoundlanders engaged the enemy onslaught. By May the German offensive had exhausted itself and the Royal Newfoundland Regiment were taken out of the front lines. Their depleted condition and the difficulty of finding replacements prompted High Command to remove the Regiment from the 29th Division and place them at Sir Douglas Haig’s Headquarters at Montreuil. The time there would be spent rebuilding the regiment to fighting strength. In September, 1918 the Royal Newfoundland Regiment found itself attached to the 28th Infantry Brigade, of the 9th Division and were engaged in a general offensive along the Ypres Salient. Over a ten day period the Newfoundlanders managed to advance from Hell Fire Corner nearly nine miles. In October the Royal Newfoundland Regiment were ordered to hold the Railway Line in Ledeghem. Despite repeated attacks the Newfoundlanders held the line. "Private T. Ricketts was awarded the Victoria Cross for most conspicuous bravery and devotion to duty on October 14,1918. During the advance from Ledgehem the attack was temporarily held up by heavy hostile fire, and the platoon to which he belonged suffered severe casualties from the fire of a battery at point blank range. Private Ricketts at once volunteered to go forward with his Section Commander and a Lewis gun to attempt to outflank the battery.They advanced by short rushes while subject to severe fire from enemy machine guns. When 300 yards away, their ammunition gave out. The enemy, seeing an opportunity to get their field guns away, began to bring up their gun teams. Private Ricketts at once realized the situation. He doubled back 100 yards, procured some ammunition and dashed back to the Lewis gun, and by very accurate fire drove the enemy and their gun teams into a farm. His platoon then advanced without casualties, and captured four field guns, four machine guns and eight prisoners. A fifth field gun was subsequently intercepted by fire and captured. By his presence of mind in anticipating the enemy intention and his utter disregard for personal safety, Private Ricketts secured the further supplies of ammunition which directly resulted in these important captures and undoubtedly saved many lives." Lys - 1918 On October 20th, 1918 the Royal Newfoundland Regiment battled its way across the River Lys and continued their forward advance to the Scheldt. On 26 October the Royal Newfoundland Regiment was replaced in its front line positions and returned to billets in Harlebeke. On 9 November, the Kaiser abdicated. On the eleventh hour, of the eleventh day, of the eleventh month the Germans surrendered and signed the Armistice. On 13 December the Royal Newfoundland Regiment crossed the Rhine River into Germany and took up new bridgehead duties. The war was over. In February the Royal Newfoundland Regiment were returned to Hazeley Down, England and took part in the victory parade in London. On Aug 26th the 1st and 2nd Battalions of the Royal Newfoundland Regiment were officially disbanded and the troops returned home to Newfoundland.